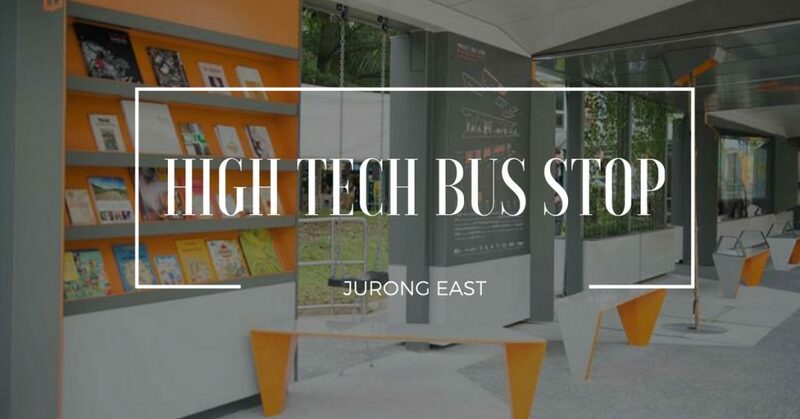 Jurong East New High Tech Wifi Bus Stop - Here's Where It Is Located! LTA Secretly Launched A High Tech Bus Stop - This Is What It Looks Like! If you’re lucky enough to be living in Jurong East, you can say goodbye to being bored at your bus stop. Nestled on Jurong Gateway Road,this refurbished bus stop was designed to “make waiting fun”. Unveiled by the Urban Redevelopment Authority(URA) and designed by DP Architects, this tech savvy bus stop is Jurong’s newest attraction. Here are a list of features that have been incorporated into this new interactive bus stop! Never again will you be stranded with a dead phone. Mobile phone charging stations that are Apple and Andorid compatible have been set up at this tech savvy bus stop. That, coupled with free Wi-Fi that gets rolled out in September, this is one bus stop that keeps you connected! Digital boards that show information on bus arrival times isn’t something new in Singapore, with bus stops all over the island incorporating it. But one that shows the news, weather and local events? Now THAT is something new. If you’re looking for something to browse through while waiting, the National Library(NLB) has got you covered. Scan the QPR code at this digital board and you can now access the NLB’s eRead Portal with digital magazines,newspapers and books at your disposal. The digital boards at this bus stop even gives you the option to plan your route, so you never have to waste precious 4G data on Google Maps again! Travelling with kids? The book shelves are going to keep your kids occupied. Filled with books for kids and adults, this book shelve is a much appreciated addition for any book lovers out there! It isn’t just about the fun additions to this interactive bus stop. Green shrubs on the roof and solar panels incorporated into the design of this bus stop, ensures that it’s great for the environment as well! Seats with armrests and built in lightning ensures that even elderly commuters can wait for the bus comfortably. The most whimsical additional to this prototype bus stop? A swing. While it could look out of place at a busy bus stop, I have a suspicious feeling that this seat will always be occupied. Had an opportunity to wait at this bus stop? Remember to share your feedback by emailing [email protected] Your feedback could help deicide if these features are incorporated to bus stops all over the island! And if you’re headed to Jurong, drop by this new interactive bus stop, it might just be what all our bus stops will look like in the near future!